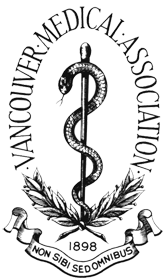 The Vancouver Medical Association has a long and rich history that pre-dates its founding in 1898. It includes a number of artifacts that have been collected over the years. The VMA is the only forum in Vancouver and area where all physicians – residents, family practitioners and specialists – can meet as a cohesive group and discuss common and/or unique topics. The VMA brings together and represents all area physicians. The more the membership the better our needs and concerns are heard! Join now if you are not a member!